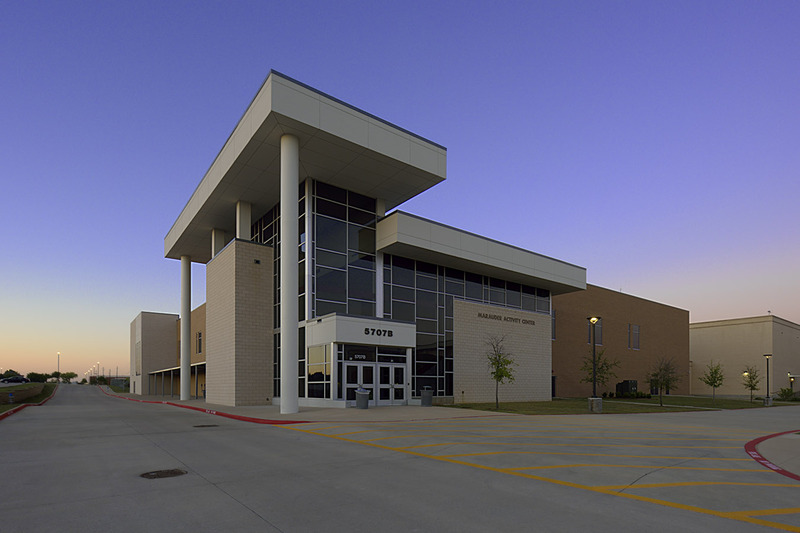 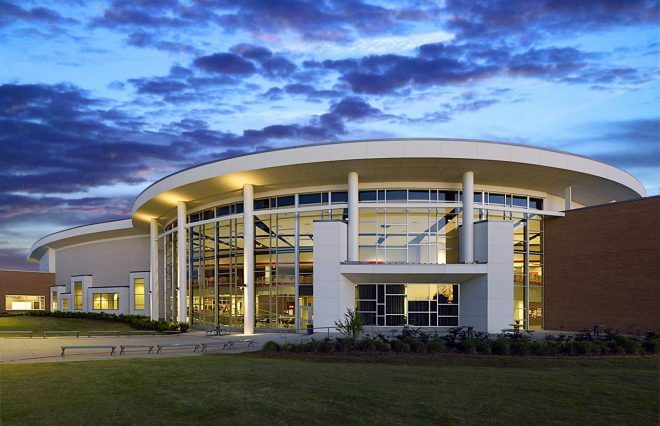 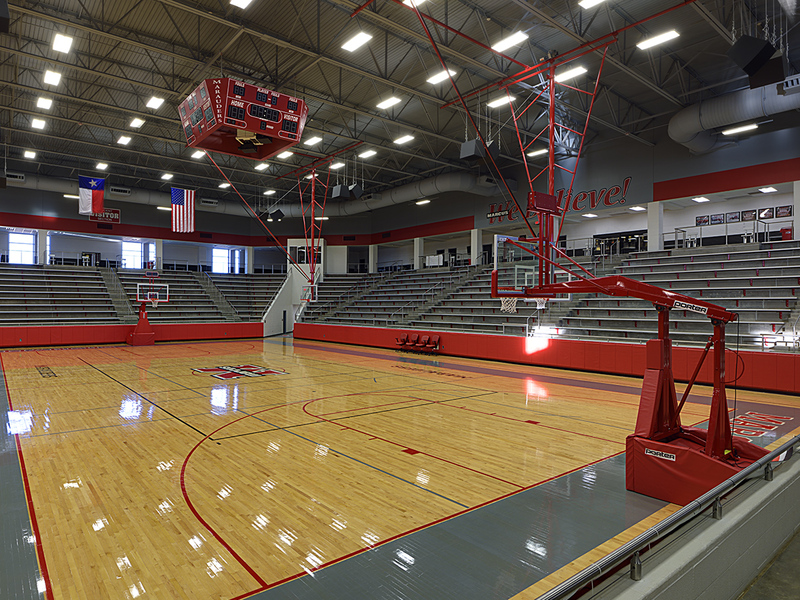 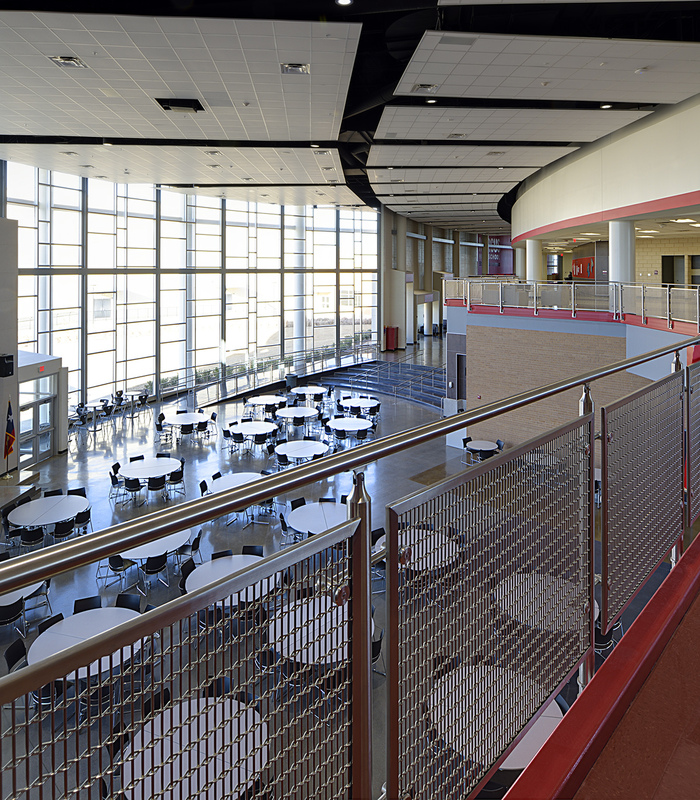 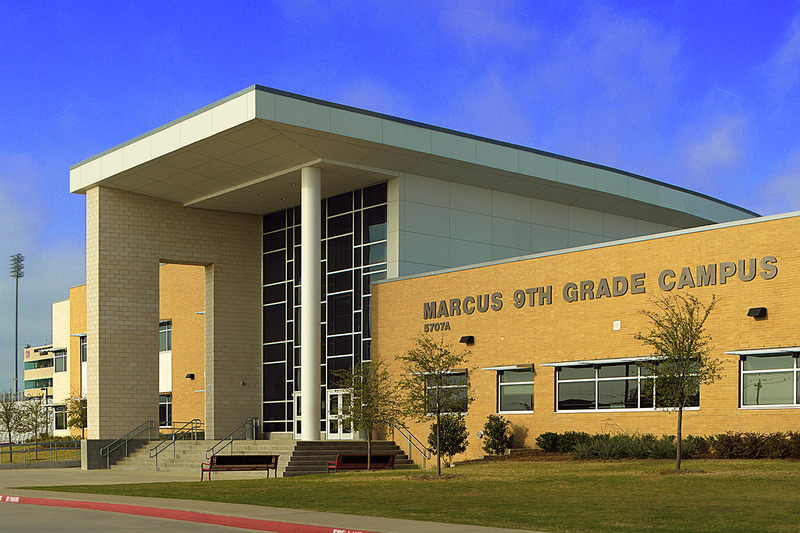 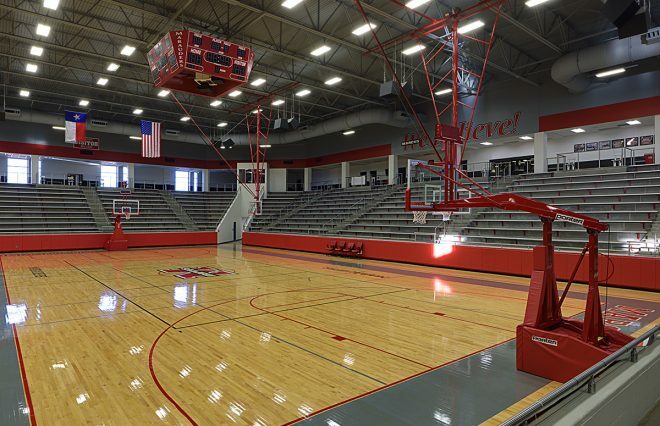 Constructed on the existing Edward S. Marcus High School site, this new, 900-student Ninth Grade Center sits adjacent to the existing high school athletics wing and incorporates an expanded, renovated corridor to connect the two facilities. 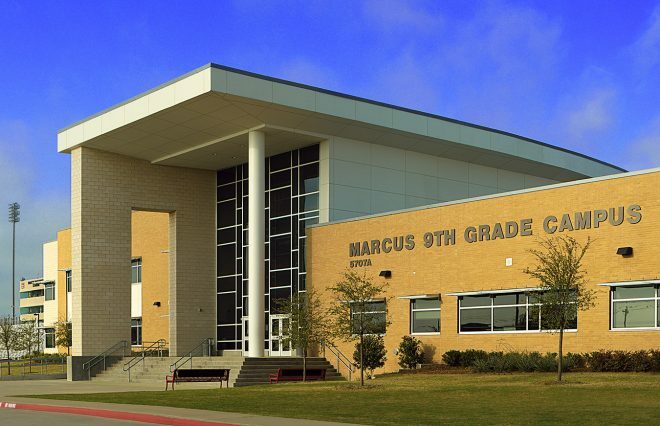 Each house in the Ninth Grade Center contains de-centralized administrative Offices to promote smaller learning communities and a more personalized connection between students and staff. 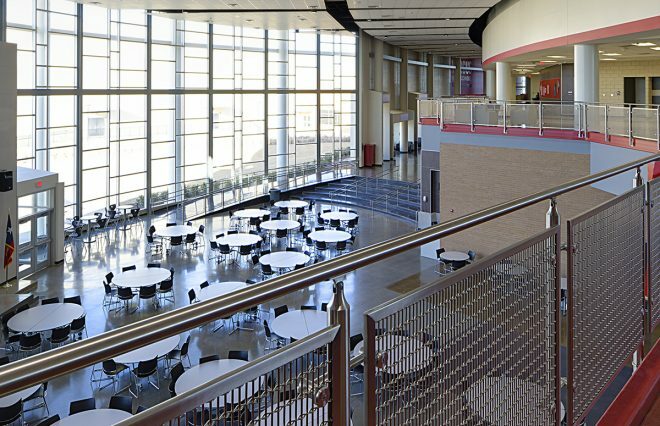 Classrooms and corridors incorporate abundant natural light and student & teacher collaboration spaces to promote proactive, interactive learning through team teaching.